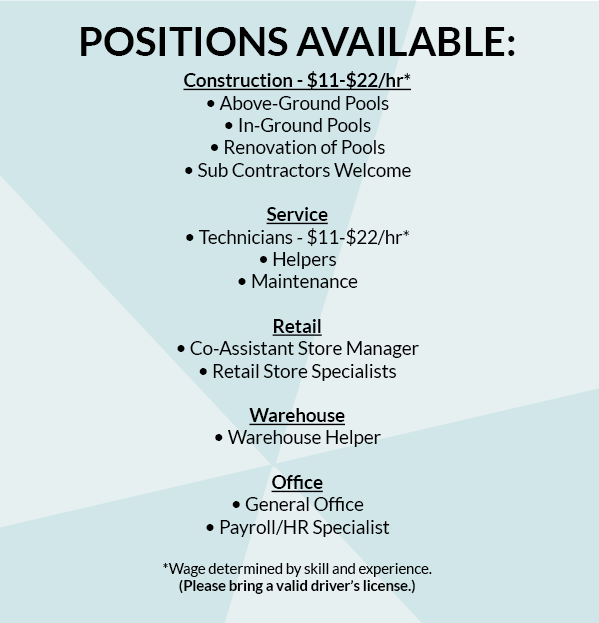 Burnett Pools Inc., an award winning swimming pool company is seeking skilled individuals passionate about an opportunity to start an exciting rewarding career. We offer Competitive Wages, Insurance, Benefits, and are proud to be a Drug Free Work Place. We are a company with 66 years of experience and we’re willing to train you to become part of our team.